Every time someone asks me for Japanese food recommendations, i'll always direct them to Chikuwa Tei for their affordable bentos and high quality and chunky slices of sashimi. 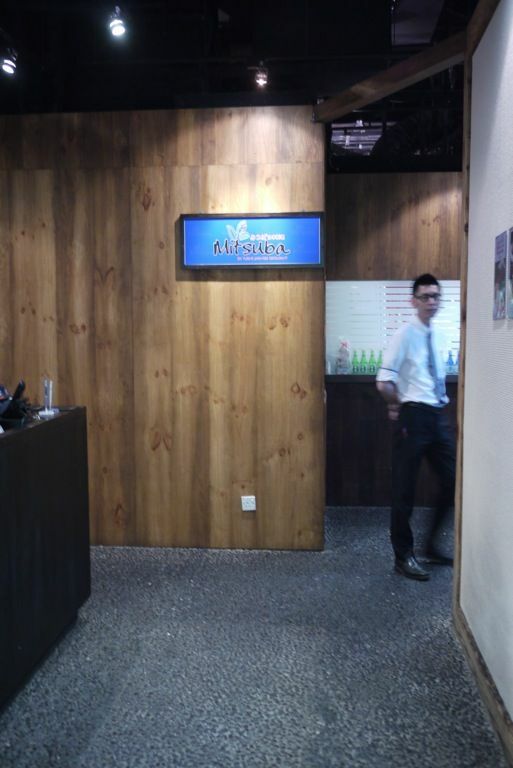 Chef Peter, the grumpy chef who first started Wasabi Tei at Far East Plaza, helms the restaurant at Mohamed Sultan. 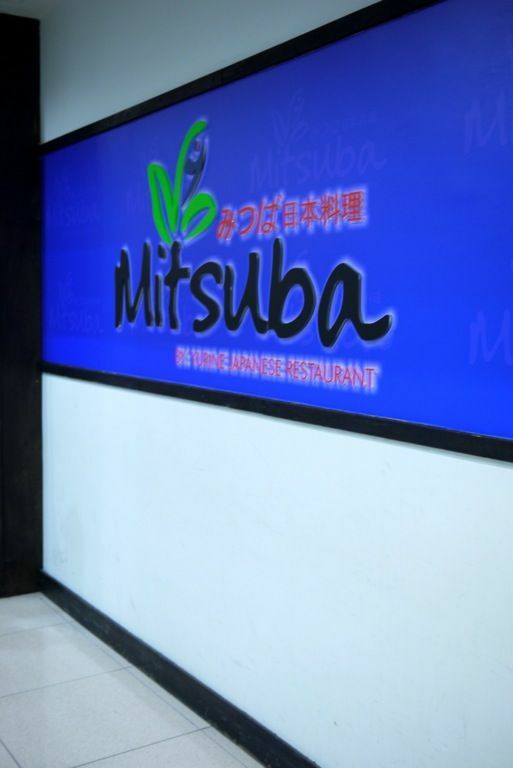 Just a couple of months back, Chef Peter opened his third restaurant, Mitsuba By Yurine Japanese Restaurant, at The Central, Clarke Quay. There is absolutely nothing to shout out about the ugly signboard and unwelcoming entrance. This is not a restaurant that I would step into if i randomly walked by. The emptiness of the restaurant on a Saturday night reflects the same sentiments of other diners. Lucky us because people don't know of this hidden gem. Heh. 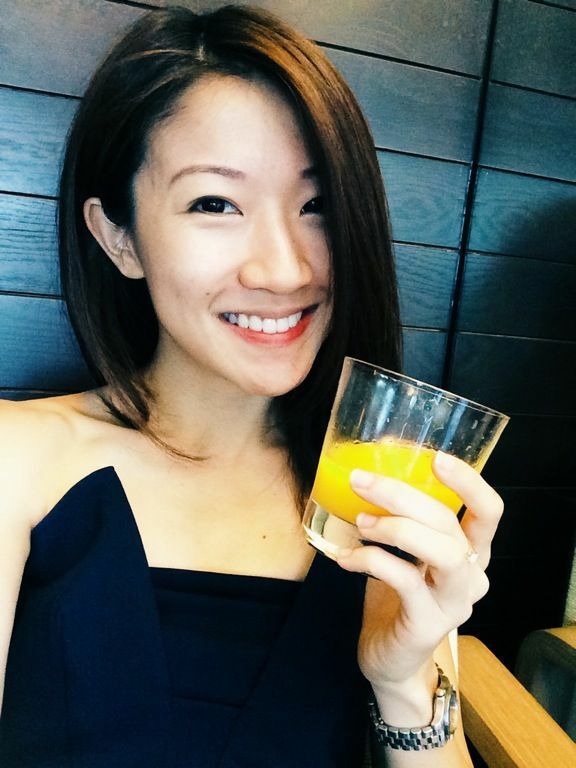 There is quite a good view of the Singapore river from the inside of the restaurant. Do remember to reserve those seats if you want to chill out with your friends (not a date). 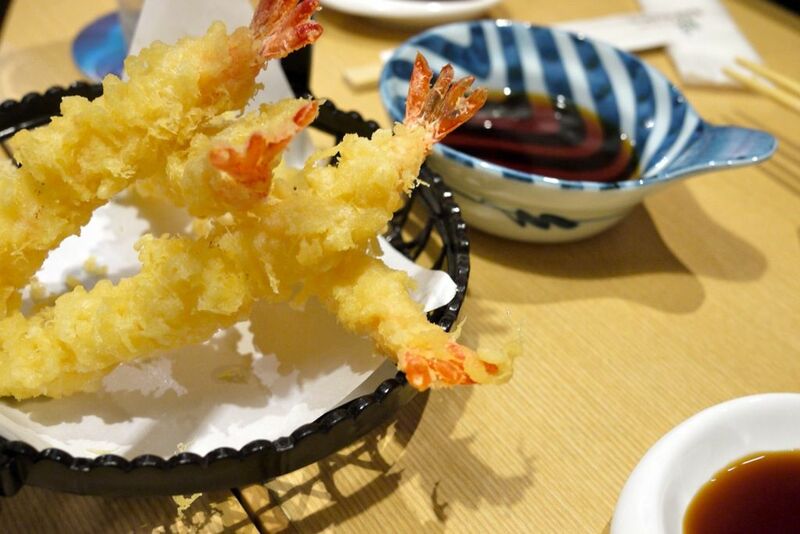 We started with the Ebi Tempura (5pcs for $12). The prawn is fresh but the batter was a little too thick. The batter was thicker the second time i had this. Maybe i'll try the soft shell crab next time. Bentos are very affordable, just like Chikuwa Tei. 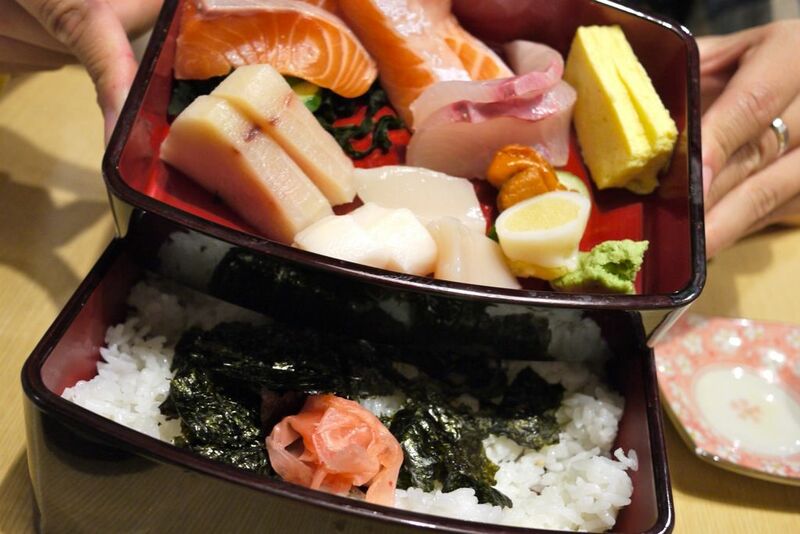 Pick a main dish and add $6 for a set that includes rice, Miso Soup, Otoshi, pickles and fruits. Grilled hot dishes like Cod fish ($20), Unagi ($22), Gyuniku (Beef, $20), Ika (Squid, $10) are available. The Sushi Udon Teishoku is amazingly priced at $24 and that gives you 7 pieces of sushi, 6 maki and a hot bowl of comforting udon. 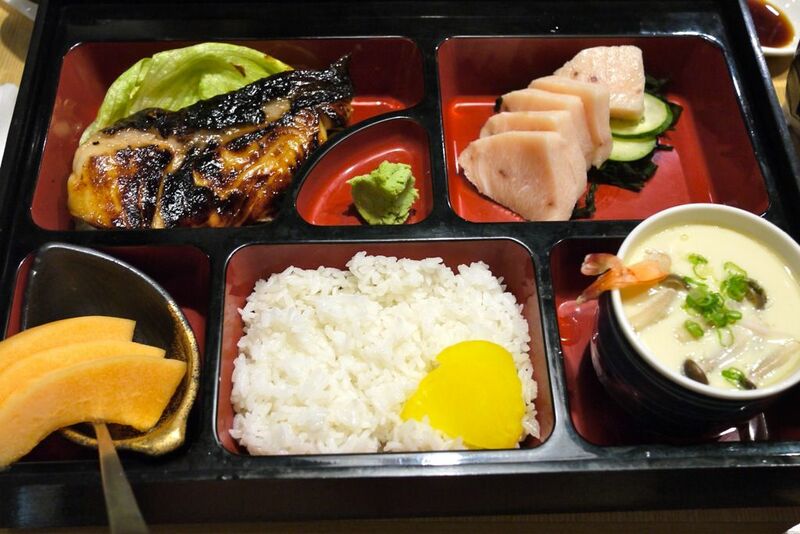 I had the Natsu Bento ($40) with Mackajiki (Swordfish) Sashimi, Gindara Teriyaki, Chawanmushi and Miso Soup. I could not finish the thick juicy slabs of swordfish sashimi which was crunchy as well. Very good fish i must say. The teriyaki cod fish was fatty and oily in a really tummy satisfying way. Love the charred and sweetened bits that coat the fish. 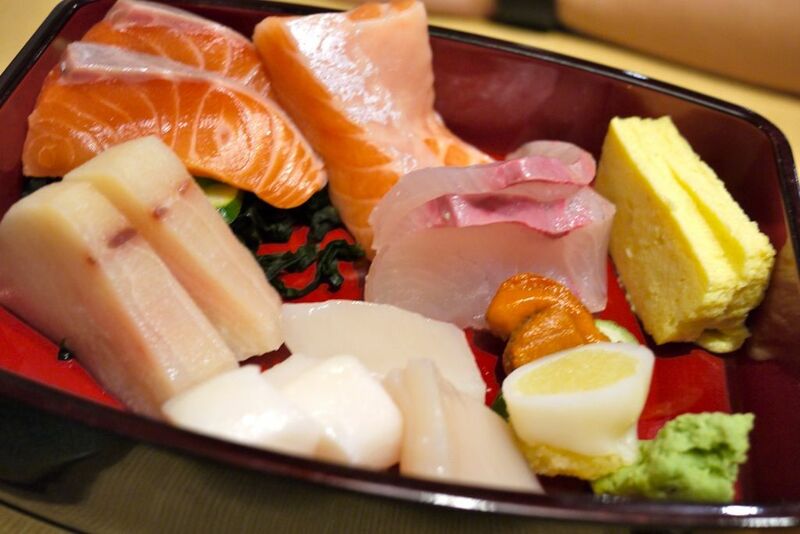 Chef Peter is well known for his generous Chirashi and you just gotta have this. The staple at Chikuwa Tei is sold here at $28 but there are 4 differently priced dons and it goes up to $68. We had the Natsu Chirashi Sushi ($38) which has fatty salmon belly, scallops, swordfish, a little stuffed squid with roe and more. The higher priced sets include toro belly, Botan Shrimps and scallops. Just look at that all that fish! I tried eating a set on my own and i could not finish the sashimi. The reason being that i was happily eating the sushi rice. Love that sweet and savory flavors from the vinegar, salt and probably mirin in the short grained pearl rice. Absolutely another of my favorite Japanese restaurant. Love the food but the service is pretty bad. The female wait staff reluctantly gave us a chair to put all our bags but reminded us that she'd have to take it back if there are customers. And the restaurant was half full. Meh. 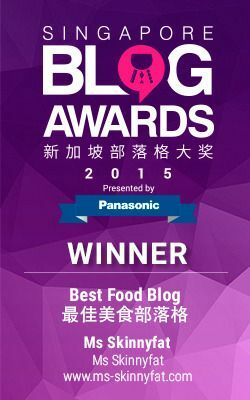 Well, for good sashimi and fuss free eating, i'll put up with it. Filling the tummy is more important. Just a little amazed at how un-princessy i am these days. Hur.